Hoping everyone is having a happy 4th of July weekend. I'm in the midst of a much-needed four-day weekend! There will be a fireworks display tonight at one of the county high schools which has been wonderful in the past so I'm expecting another good show this evening. My husband and I will also try to catch Pop Goes the 4th on PBS at some point over the weekend. We really enjoy watching it every year. It's been a fun week out in the blogging world because of all of the red, white and blue goodies. After every holiday, I always hit the clearance racks and grab up those discounted sprinkles, colored sugars, and cupcake holders. I even got a nice red cupcake stand after Christmas last year that I thought would be useful for Christmas, Valentine's Day, and the 4th of July. Now, if only I could remember where I put it... Anyway, here's my small contribution to the patriotic desserts. Can't wait to see what all of you have made this week! I want to thank everyone who returned to the party last week and all of you who accepted my invitation and visited for the first time. Everything looked absolutely delicious. 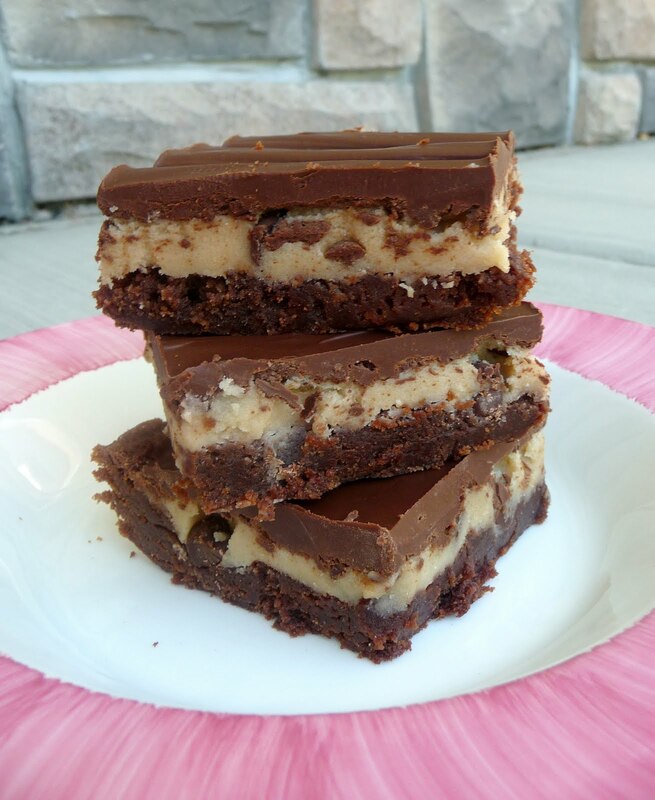 Here's the top recipes from last week. Please link up to the URL of your specific recipe post, not the URL of your main blog. When it asks for "Name", type in the name of your recipe. Please place a link back to this post in your original post or Grab My Button included below. 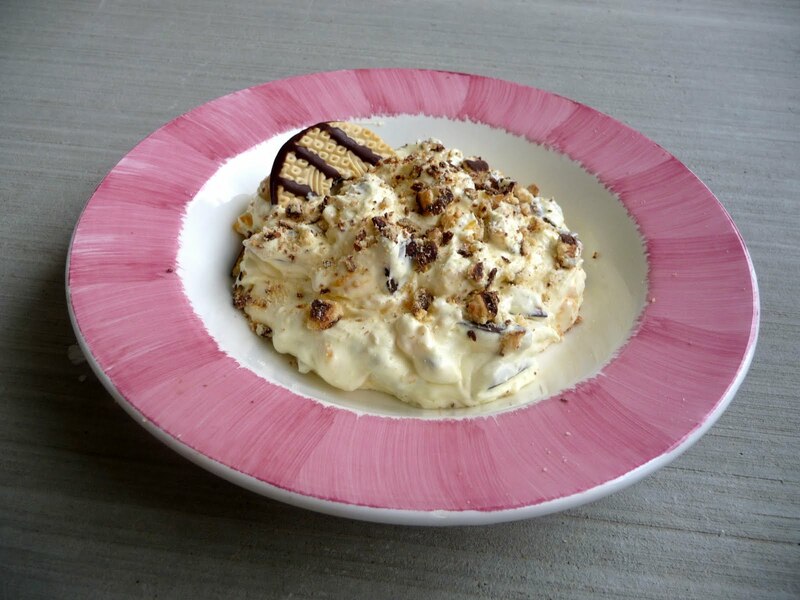 Share your most recent dessert. Link up as many desserts as you would like. More is always better when it comes to desserts! Leave me a comment in this post to let me know that you've joined the party. Also, if you're having your own linky party, feel free to post the link to your party in the comment section. I would love to join your party! Now, let's share the love! Please visit at least two others and comment on the delicious desserts that they've brought to the party. It means so much to a blogger to get some positive commentary! Kim, Oh I am so happy you featured my "Better than Starbucks Blueberry Scones". I hope you enjoy then as much as we do! I linked up my Boston Cream Pie, this week. Thank you for hosting! Have a great 4th of July Weekend! Hi! I've brought my Blueberry and Cream cookies, Lemon Blueberry Crumb Bars, and Crack Pie. Have a great 4th of July weekend!! 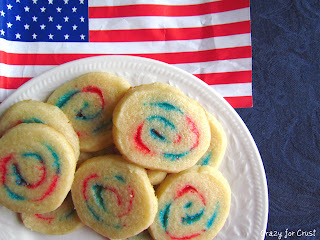 Thank you so much for featuring my spiral cookies! Just looking at the picture makes me want to eat them again. 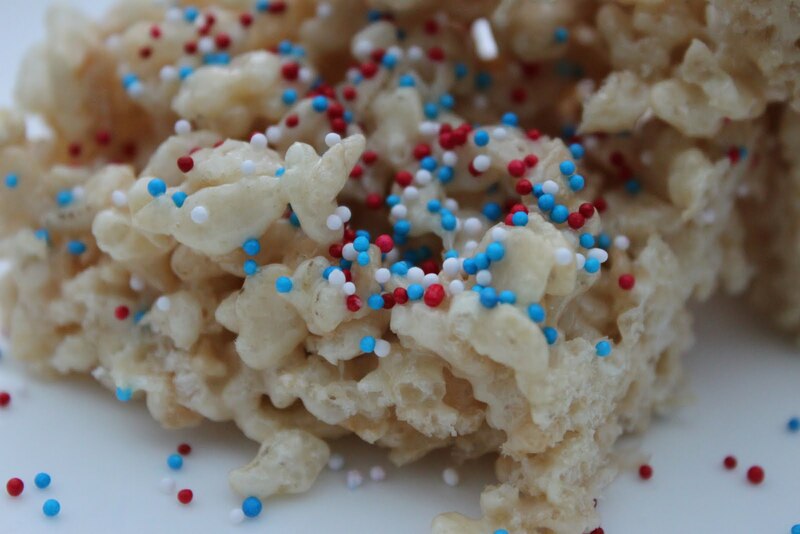 I linked up my Brownie Batter Crispy Treats and my Patriotic Pops today. Thanks for hosting and have a wonderful long weekend and 4th of July! thanks so much for hosting and for featuring my cookie salad and cookie dough brownies! Excited for another link party! I haven't really baked this week so I linked up an old recipe for Snickery Hidden Treasure Cookies - sugar cookies with Snickers inside. Happy 4th! Happy 4th, thanks for hosting!! Thanks for hosting this. I love all these sweet indulgences to tempt me and they do. Would you link up a baked good at Bake With Bizzy? Thanks for hosting! Have a Happy 4th! Thanks for hosting! I linked up some Fireworks cookies :) Happy 4th! Thanks for hosting! Have a great Fourth! I linked my Meringue Stack with Cream and Coconut, thanks ! thanks for the invite :) ! linked up my cupcakes! I linked up a Carrot Cake and a Pineapple Cream Pie. Hi... after posting your button on my page I noticed it is not linking up properly to your page. I have gone to some of the other pages and when I click on them, the same thing happens... and some actually state on the page that there is an error. Just wanted you to know. Wendy, thanks for letting me know. I'll check on it. I'm not very techy so I hope I can fix it. Hi, this link party looks like fun - do you do it every Sunday?